Is There A God And Does He Answer Prayers? 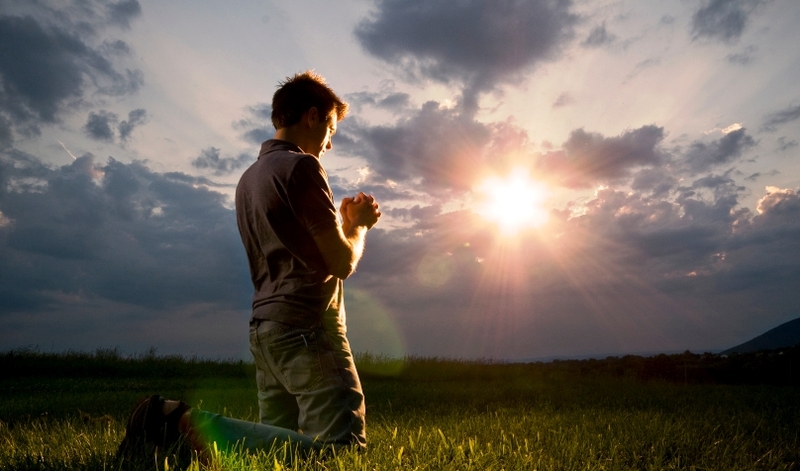 Most people across to the world have prayed to a higher power at some point of their life or another. 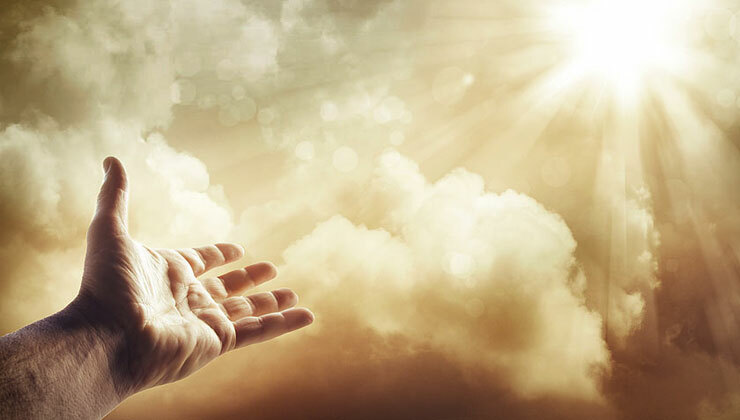 Even if you do not believe in the existence of a God, chances are you have still prayed to a higher power in times of extreme crisis at some point or the other. Why do people pray? Well for one, most of us have grown up in families that practice one religion or the other and the practise of praying has been inculcated in us. We have seen it all around us. Something isn’t going right? Just pray to God and it will be fine. But does prayer really work? Actually, before we ask about the effectiveness of prayers, there is another question we need to ask first. People came to believe in God because in ancient times they needed to make sense of the phenomena that used to happen that nobody could explain. After all what made the sun rise up in the sky, what made the moon? What caused storms, what caused rains, what caused the winds? What caused us to exist? Today we have scientific explanations for most of these natural phenomena but back then there was none. So the simplest possible explanation for everything was that a higher power was causing it, one that we could not see. Today many people would argue that since we have scientific explanations for most natural events, there is no need for the belief in a God. It is true that almost everything in nature can be explained through science, if not today, then certainly in the future. The universe too operates on certain scientific laws. But then the question remains, what caused those laws to come into being in the first place. Were they created naturally for no particular reason or did something or someone cause them to exist in the first place. So unfortunately, to date there is no scientific proof that God Exists. But then there is no proof that God does not exist either. So with our limited scientific knowledge and intellectual capabilities, as of now God remains more of a matter of belief than anything else. But let us assume that God does exist and is an omnipotent being, what would he or she be like? If God does indeed exist, I think He or she could be like a parent who wants the best for you regardless of whether or not you return the same love to them. This seems to be the most likely scenario if God is a conscious being who created you. Because most conscious beings love their creations or their children. Human parents love their children, Animal parents love their children. Why wouldn’t God Love his? Even if the children are ill behaved, disrespectful and generally not that obedient, the parents’ love for their children is usually unconditional. The parents are likely to often give in to children’s demands. Thus it is likely that if God is indeed the all loving creator as many religions say he is, then he is almost always likely to consider his children’s demands and want to see them happy. But then it seems many times prayers are still unanswered? What could be the explanation? Well even if God was a parent who only wanted the best for you, at times he would not give you what you want. Just like a parent who wants to see their children grow and become responsible, God too might deliberately want to withhold things for you and make you word hard for them. If you did not stumble, if you did not have to work hard for what you wanted, how would you grow in life? How would you learn to appreciate and value the reward if you didn’t have to go through hell to get it. So IF God indeed exists and prayers do not seem to be working, then it probably means he/she wants to test you and make you work hard for it, just like a parent wanting his child to become responsible. Just because something is evading you now, doesn’t mean you are not lucky. Luck can change overnight. God may not think what you want is right for you. Just because a kid wants a toy or wants something, it doesn’t mean it’s always good for him or her. So even even if the kid may keep demanding it, the parent might keep saying no and not let them have it. The kid will hate the parent for their actions but the parents knows it’s in the kid’s best interest and will not agree to the demands. Is there something you desperately want but for some reason it keeps running away from you. Try your best till the very end, maybe God is just testing you. But in the end if the result is something that just cannot be changed, and the thing that you want can never be yours, it it is better to let it go. If you believe in God, it is best in this situation to accept that whatever happened was ultimately what God meant for you. If you believe God is like a parent who can never hurt you then you have to the parent took his decision in your best interests and come to terms with it. God maybe answering Your Prayers but You don’t want to listen. There is a brilliant story of someone who was extremely religious and prayed to God for a long time every day.. He believed that God would protect him from everything if he just prayed to him. There would be nothing that could harm him. Well one day there was a flood warning and everyone in the man’s town were asked to evacuate. But the man refused. He said God would save him so he didn’t need to leave. As the water began to rise, the neighbor came and offered to evacuate him but he refused and said God would save him. The water rose further. After a while, a boat came and offered to rescue him. He again refused. Now the water really started to rise, the man climbed to the roof and waited for God to rescue him. Finally a helicopter came and offered to save the man. The man again refused and prayed to God. Well finally the man drowned! God won’t come down in person to help you but he will present you with enough opportunities to help you solve the problem. The question is do you have the common sense to realize God wants to help and the courage to take the action that will save you. The truth is that scientifically we may never have proof that God exists. We don’t even know if prayers definitely work. Because sometimes they seem to and sometimes they do not. But if you believe in God and you believe in the power of a prayer, just remember three things. If you don’t get what you want, maybe God wants to test you and make you work hard for it. So that you become an individual who is strong and actually appreciates the reward. When the very last you hope you had to get what you want is destroyed and you believe in God, maybe God has a different plan for you. Remember, if God exists, he is like a parent and parents do not always give their kids what they want if that thing is ultimately not in their best interests. God is actually answering your prayers but he won’t come down to save you. He only presents you with real world opportunities time and again. But it is you who has to be wise enough to know your prayers are being answered, but you won’t be saved unless you take the action to board the boat!